The author of Waterstones Scottish Book of the Year 2018, The House Between the Tides, Sarah Maine returns with the sweeping novel, Women of the Dunes. 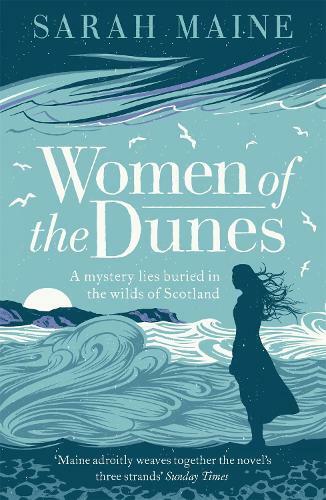 Chosen as our Scottish Book of the Month for March, Women of the Dunes is a haunting, richly evocative tale of three women's lives interwoven across time by the landscape, history and myth of Ullaness. Here, exclusively for Waterstones, Sarah Maine digs deeper into the real stories and places that inspired her novel, exploring the inextricable links between our environment and the tales we choose to tell, bury and pass on. Writing Women of the Dunes was a thoroughly enjoyable project. 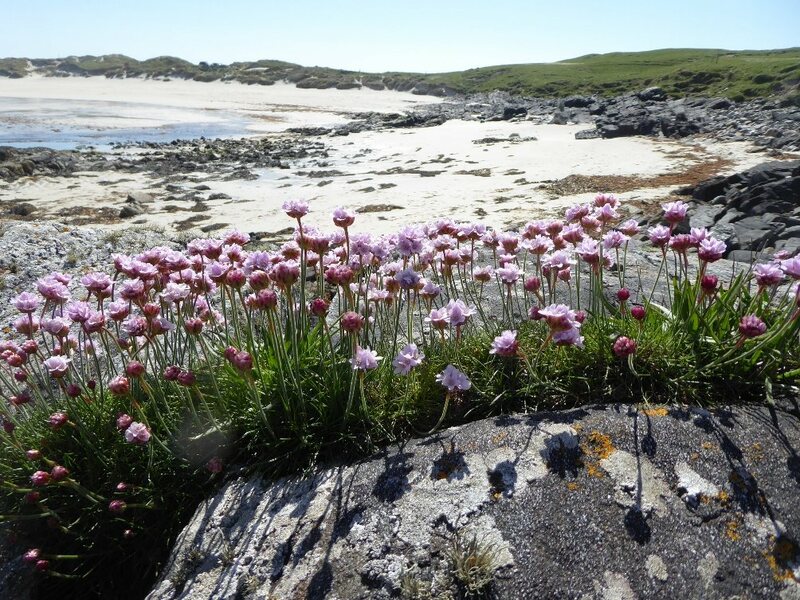 I’ve often thought, during many springs and early summers spent on the west coast of Scotland, how the past remains so visible in the landscape. 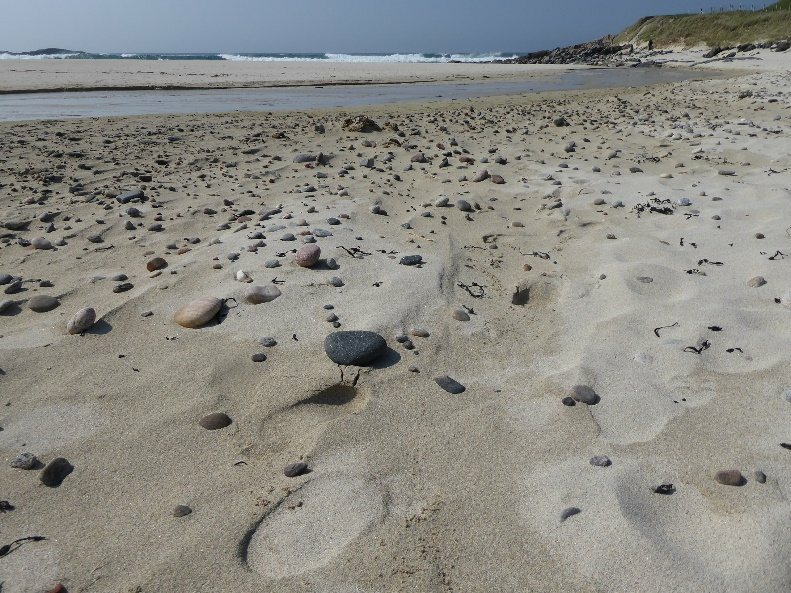 For an archaeologist, like my modern day protagonist Libby Snow, every hump and bump, every ruin and abandoned field system has a story to tell - and so the seed of the novel was planted. Many of these ancient features alre-+ady have stories attached to them: some were once places to leave offerings, others were fearful places, best avoided, and so seed grew into the idea of a legend, a theme to bind the story together. In my story, though, the classic type legend of a lovely young woman and a handsome conflicted youth would be given a twist. Did events really happen as they were told and passed down the generations? And how reliable is the oral tradition, anyway, or do legends get hijacked to suit later agendas and so become warped along the way? I decided to explore this idea with three different strands: the ‘true’ events which gave rise to the legend, glimpsed in small fragments, like torn pieces of parchment; then the legend as harnessed by Victorian romantics and the Church to serve their ends, and the effect this had on the 19th century characters; and finally its continuing impact as seen through Libby’s archaeological excavation which sought to discover the ‘facts’. 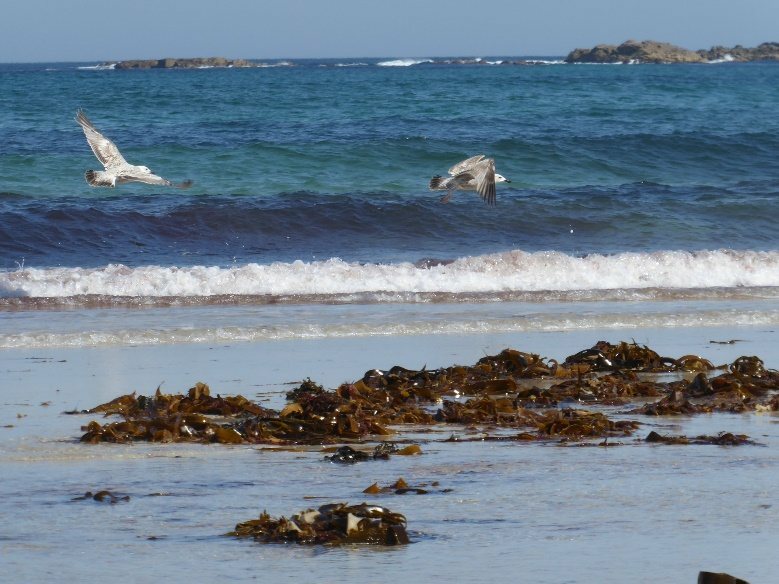 The west coast of Scotland is the perfect setting for such a story. 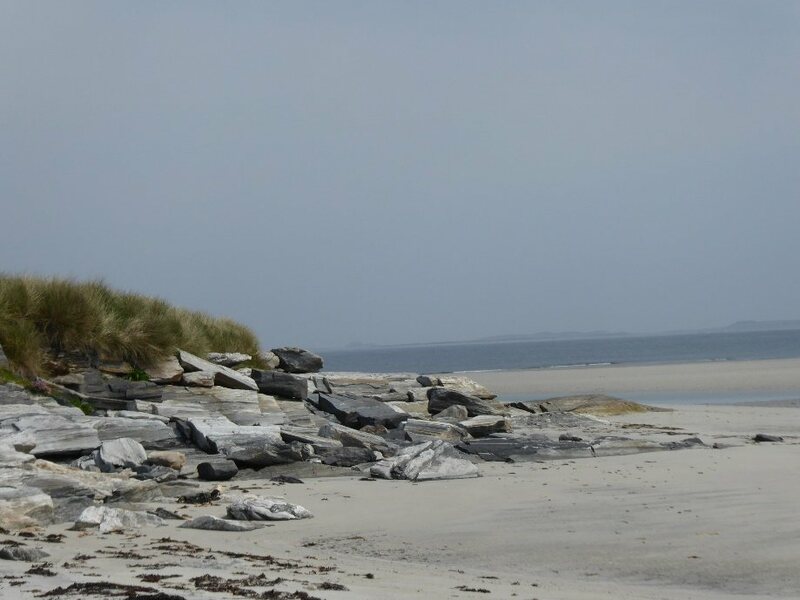 Irish hermit monks, living in solitude or in small groups, once occupied isolated places around the coast, reaching even the Northern Isles and beyond to the Faroes and Iceland. Ruined stone cells or place-names still mark their fleeting presence. These monks later fled from, or were captured by, Viking raiders operating from Scandinavia who established bases in Scotland and Ireland from which to launch further attacks or establish their farms. And so Odrhan, the Irish monk and Ulla the lovely Scandinavian woman became the basis of the legend I created. Ship-burials, of the type which Libby Snow and her team came to excavate at Ullaness, hoping to find Harald, Ulla’s lover, form a key part of the legend. 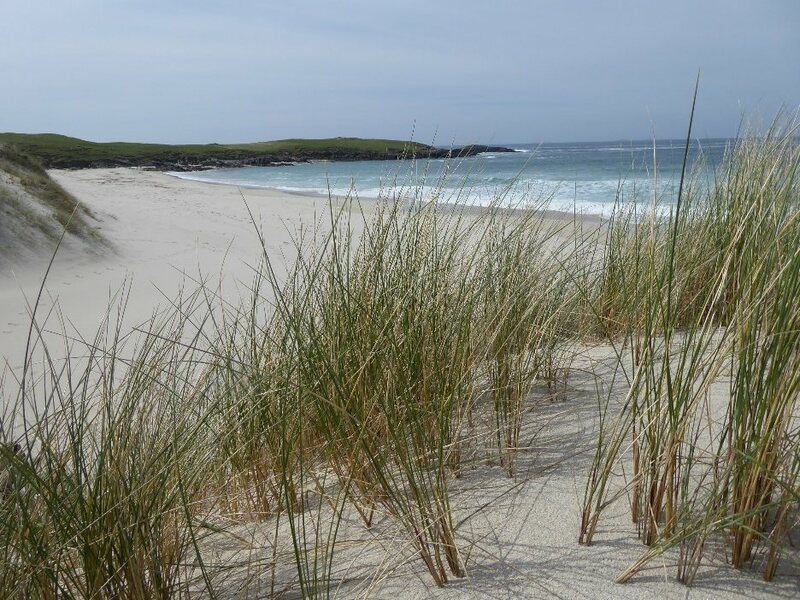 Such sites are still being discovered at coastal locations in the Northern Isles, the Hebrides and along the mainland shores, their earth or sand-covered mounds often lying unrecognised amongst the sand dunes for centuries until exposed by wild storms or eroding coastlines. And this is what happened to the mound at Ullaness. But the storm uncovered more than just an ancient burial place. It revealed a more recent body and it also uncovered the echo of enduring conflict between brothers, repeated time and again over the generations. Ulla is the wife of Erik, her lover’s brother, and their story starts with Ulla and Harald’s flight from his wrath, finding refuge (of a sort) with Odrhan. Two Victorian brothers, Hector and Alexander, sons of the later landowner, also quarrel over a woman, Ellen, whose fey imagination has cast them all in roles of the ancient legend. By then, the legend had been romanticised by poets and sanitized by the Church, and Ellen, despite the best efforts of the local minister, becomes obsessed by it. And then, in the 21st century, Libby arrives to find herself embroiled in a continuing, and very contemporary, dispute between the current landowner, Hector, and his brother Rodri who manages the estate. Again, they have fallen out over a woman, the lovely and manipulative Laila, and the scene is set for tragedy. I am an archaeologist myself and archaeological fieldwork involves carefully scraping away layers of soil, one at a time, in an effort to understand the processes by which those layers developed. Some are construction layers, such as the establishment of stone foundations or the driving in of timber posts, some are occupation layers which bear witness to everyday life while others are destruction layers which reveal evidence of conflict or disaster. Laying down the layers of this story, some light and some very dark indeed, felt like going through the same process in reverse. Each layer of the story draws from the one which precedes it and the one which follows, and each set of circumstances impacts on those characters whose lives are built upon these successive layers. And so each thread of the story as it unwinds gets woven back into the fabric of the past until finally, as the book draws to a conclusion, we are left to consider again the reliability of traditions which are passed down. Are events portrayed as they actually occurred or are they fragmented and presented in an altered form, in the way we want them to be remembered? Archaeologists, too, can deal with only the remnants of the past, remnants that we like to call facts but these are incomplete and open to many different interpretations. And although the past is still visible in the landscape we must remember, as we walk across it, that it still retains a great many of its secrets, and that we can never fully understand those who previously passed that way. A spellbinding and beautiful novel from the acclaimed author of The House Between Tides, winner of the Waterstones Scottish Book of the Year 2018. Atmospheric, intoxicating and filled with intrigue, this sweeping novel is an epic story spanning the centuries, that links three women together across history.